Before I had kids, I never was really big into crafting. I enjoyed making some things and I was big into scrap-booking, but never really a “crafter”. Then, I had kids. It’s like my creative juices exploded when that happened and I love doing crafts with them. It’s probably because they get so excited to make things, which makes it so much more fun! Those adorable little fingers and chubby little feet that our kids have come in handy for these projects. 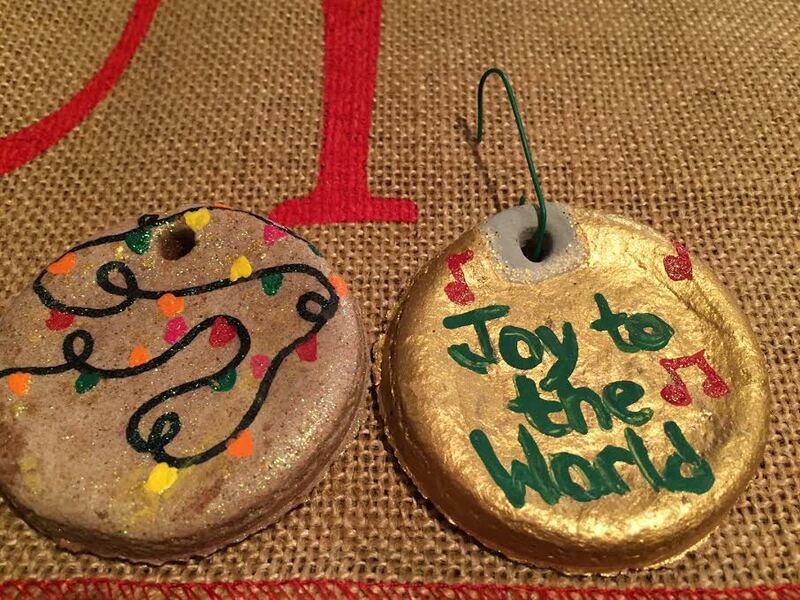 I made this string of finger lights last year as well as the little feet Christmas tree. My oldest loved to get messy and squish around in the paint. Plus, they make adorable gifts. 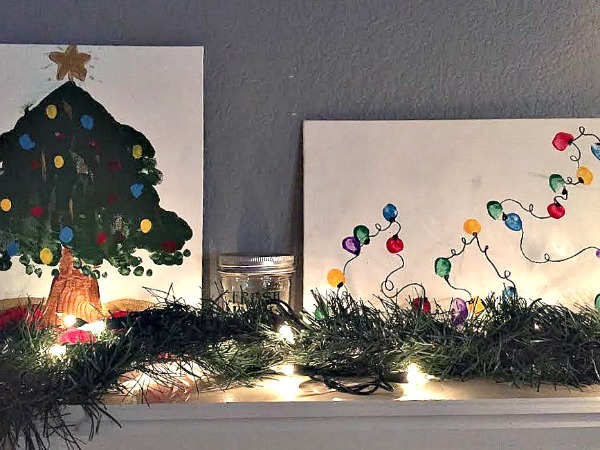 All you need is a few pieces of canvas or paper, some paint in whatever colors you want your lights/ornaments to be (I went with traditional Christmas lights), green for the Christmas tree, a black sharpie for the “string” and some optional glitter. I would also lay some newspaper down first because it can tend to get a little messy… or a lot messy. For the lights, I used her thumb print. For the tree, I use her little feet in a “V” shape and then used her smallest fingers to make the little lights on the tree. 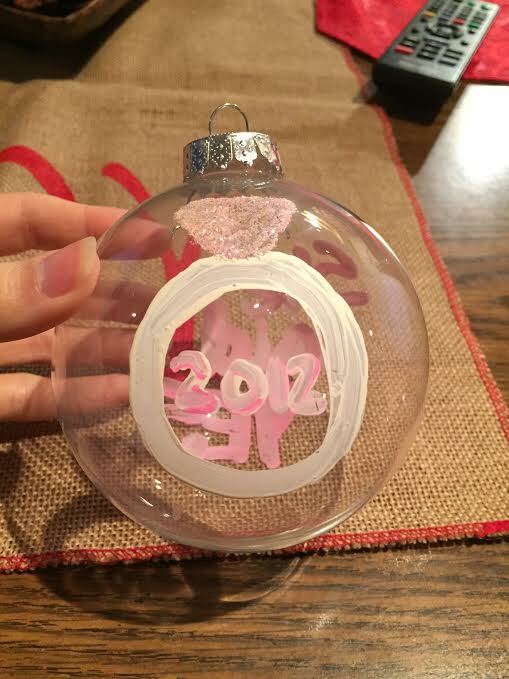 This may be one of my favorite Christmas crafts. I just use a typical salt dough recipe of 2 cups flour, 1 cup salt and 1 cup water. You can add cinnamon or other spices in there for scent if you want. I found that it doesn’t really last sadly. Cut or mold them into whatever shapes you want. Bake them at 180-200 F until they are dry. You don’t want them browned or burned. If you tap them and they sound hollow they are not completely dry on the inside. Paint and decorate them however you want. I poked holes in some of the tops with a small pen so that I could turn them into ornaments. They last FOREVER and you can customize them to be whatever you want. You could do little hand prints for your kids, something that reminds you of your spouse, or a family name. 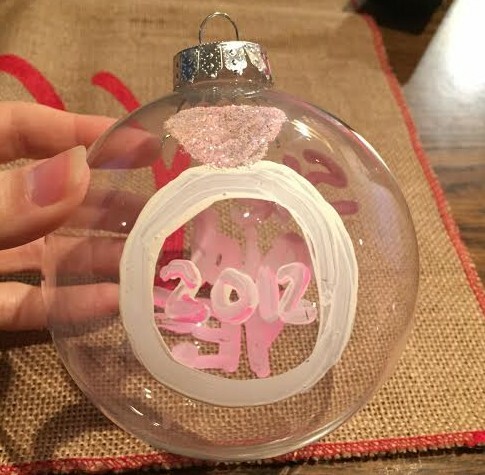 Get some clear glass ornaments from the crafts store and design your own ornaments. You could just dunk them in glitter, or write something on there that you want to remember from that year. 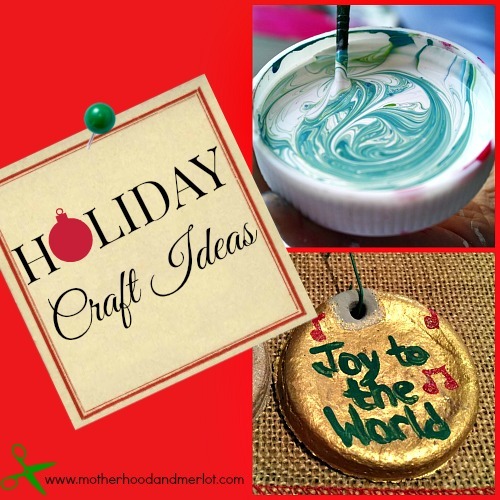 What are your favorite holiday crafts to do on your own or with your kids? Awe love your ideas I love crafting with my kiddos and making stuff all year long.